Silver string decoration to hang. Multi media pieces pegged onto string with silver mini-pegs. 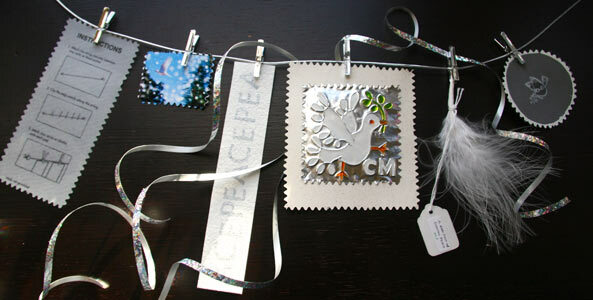 White feather, deckle-edged photo, stamped card, dove design embossed into silver metal sheet and painted with glass paints, white card stamped with silver-inked letter blocks,deckle-edged instructions printed onto transparent grey plasticised paper. 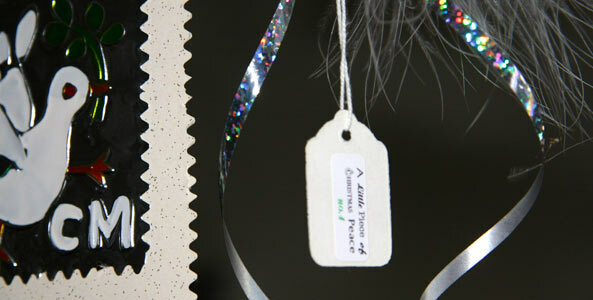 Enclosed in cellophane bag and tied with silver hologram ribbon. Posted in silver bubble Jiffy bag. The theme chosen this year was 'peace'. I wanted to do something delicate, quiet, gentle and subtle. I decided on a 3D hanging decoration with a colour palette of blue, silver and white. Doves feature as symbols of peace and the white feather a symbol of surrender. 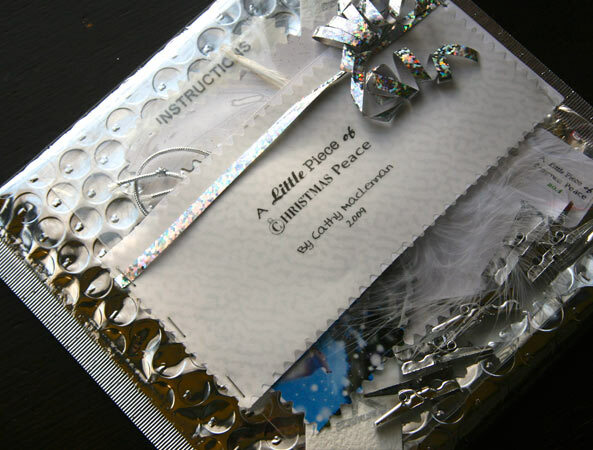 Each piece is labelled with the words 'Little Piece of Peace' and numbered 1 - 5. 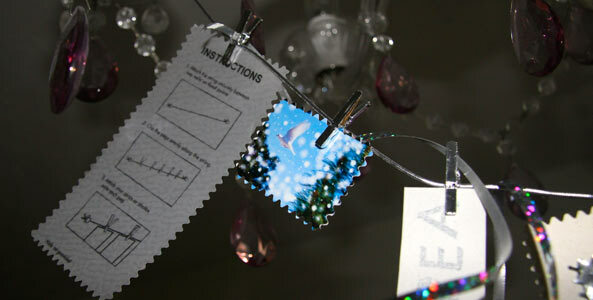 I wanted to put in instructions and hoped that they would also be pegged onto the hanging.